Hawaii is home to Kona coffee, pineapples, the world’s largest dormant volcano, and the only royal palace in America, and year after year, the world’s most isolated population center draws millions of visitors. From history buffs and luxury seekers to nature lovers and beach bums, Hawaii offers unique experiences for every visitor, and we’ve compiled the top ten to help you choose an itinerary that fits your interests and tastes! 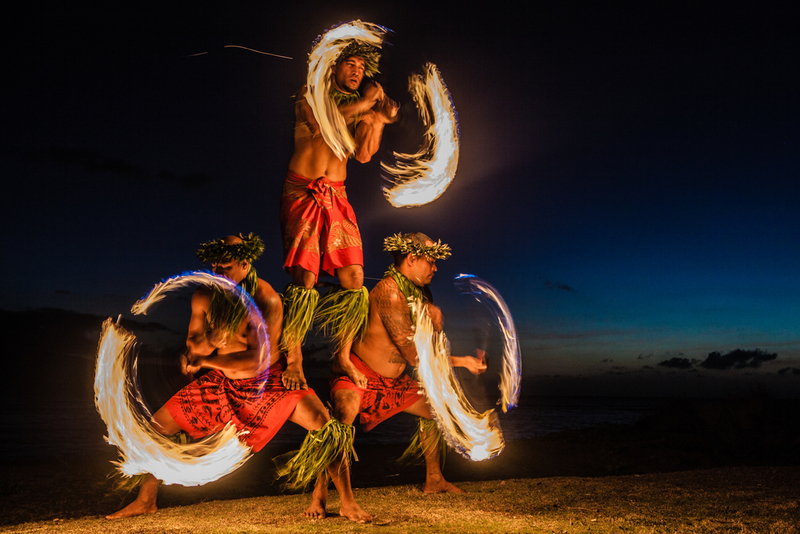 You haven’t experienced the Hawaiian culture unless you’ve enjoyed a traditional luau, a feast to celebrate special events, such as a battle victory or an important milestone. Luau food now blends Hawaiian, Polynesian, and even American flavors, but many still include pork cooked in imu (underground oven); poi, boiled taro roots; poke, raw fish marinated in lemon or lime juice and coconut cream; and various marinated chicken, salmon, and beef. Some add in Chinese noodles, potato or macaroni salads; steamed rice; and of course, pineapples. A fresh flower lei greeting, a Mai Tai, and the hula dance make this a must-attend attraction when in Hawaii. 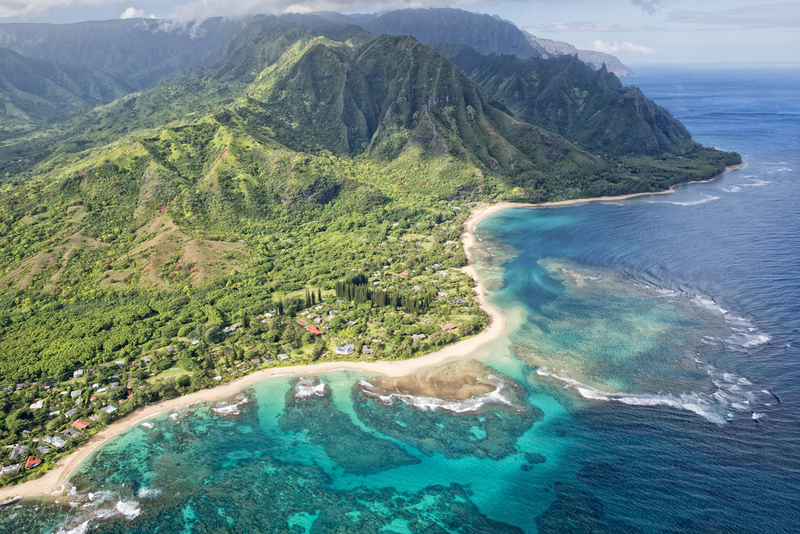 Experience the beauty of Hawaiian landscapes with a helicopter adventure. 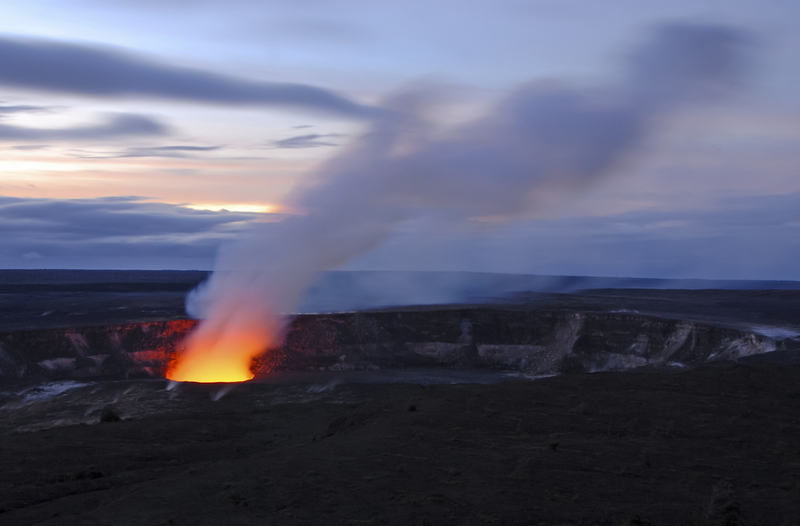 Seeing Kilauea, one of the most active volcanoes in the world, is a definite highlight with its molten oranges and reds. Also on a helicopter adventure, you’ll marvel at the natural wonder and beauty of the islands, including the tropical rainforests, breathtaking waterfalls, and dramatic cliffs. Combine your tour with a zipline course through the rainforest and a tour of Volcanoes National Park with guide for a full-day adventure. Humpback whales are some of the most photogenic whales in the world because of their surface activity, including breaches, pec slaps, and tail up dives, and Maui’s warm and protected waters make an inviting habitat for mating and giving birth. 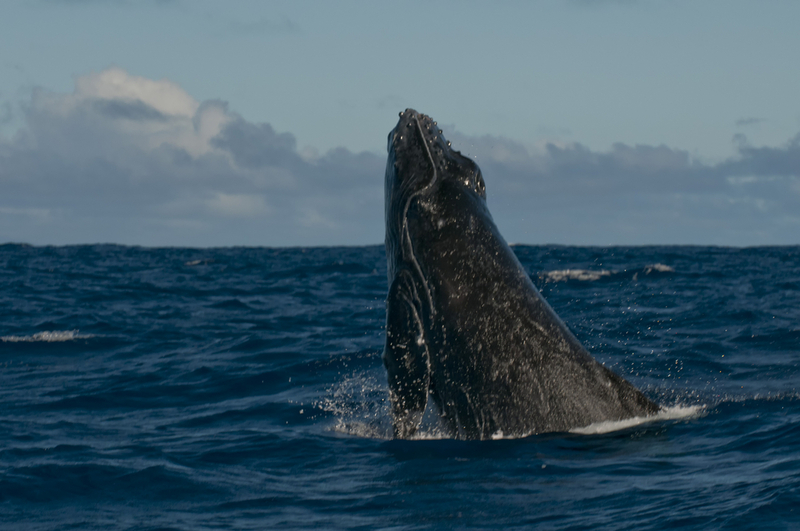 Take a leisurely cruise into the crystal clear waters of the Hawaiian Island Humpback Whale National Marine Sanctuary to see the migrating whales up close. From December to May, humpback whale sightings are almost a guarantee because of their mating season. Many voyages include live whale songs played over hydrophones and expert commentary, whether on a yacht, raft, or kayak. Oahu’s North Shore is a surfing mecca with gentle waves in the summer and big waves in the winter that attract beginners and veteran surfers alike, and the seven-mile stretch of beaches hosts the world’s premier surfing competitions. 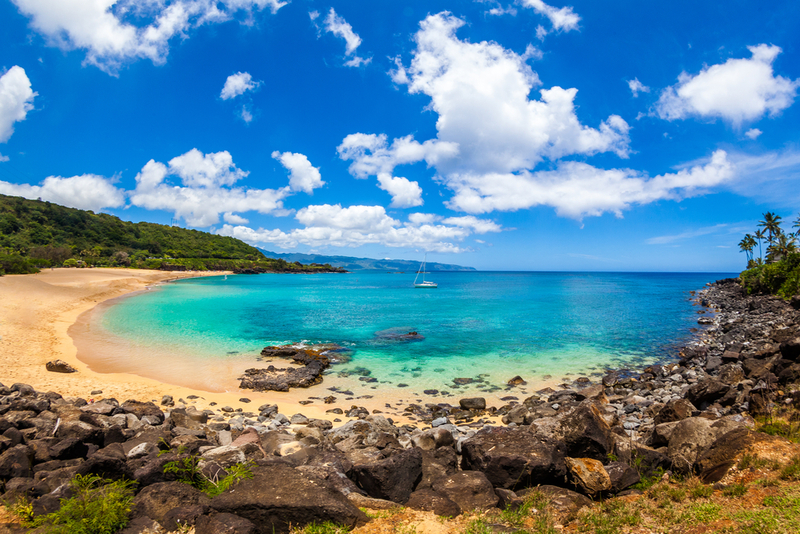 Waimea Bay was the legendary spot where big wave surfing originated in the 1950s and is also a beautiful place to sunbathe and picnic. Hike Diamond Head, a dormant volcano that is the shape of a tuna’s dorsal fine. It was once a military post and offers enchanting views of Waikiki and Oahu’s south shore as well as underground tunnels and military bunkers. 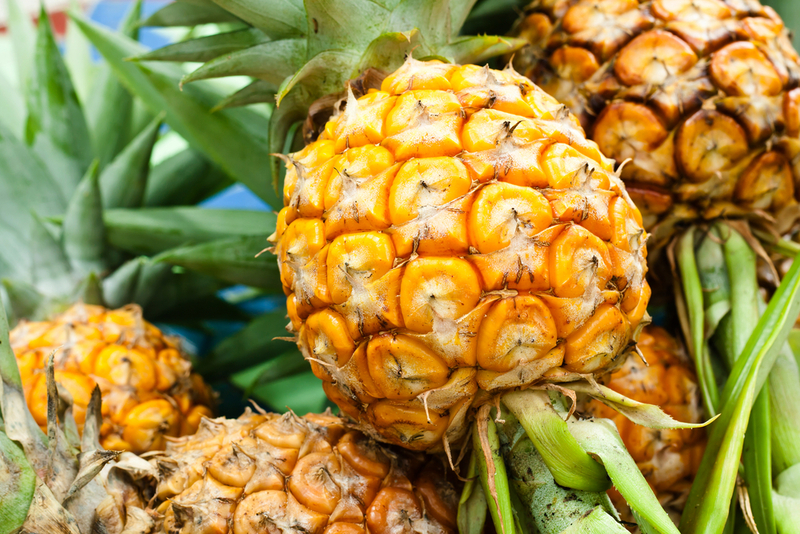 Hawaii produces a third of the world’s pineapple supply, so you won’t want to miss the opportunity to visit the Dole Plantation. Ride the Pineapple Express, a 22-minute train ride that takes visitors through the Dole Plantation field, providing the history of the pineapple industry in Hawaii. 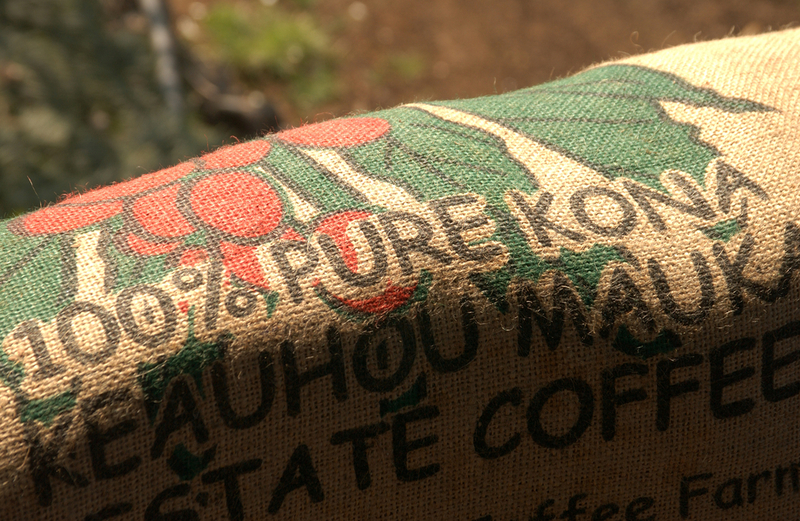 Wander the eight different gardens and hear stories about plantation life and the Hawaiian heritage with a Plantation Garden Tour. Oh, and you won’t want to miss the world’s largest maze, a three-acre puzzle with almost two and a half miles of paths created by 14,000 colorful Hawaiian plants. Stop by the Plantation Grille for island favorites like teriyaki chicken, kalua pork, and loco moco. This tour is more than just a water adventure. On a Napali Snorkel Tour, you’ll take a catamaran out to the sublime Napali Coast where you’ll explore sea caves, ancient lava tubes, majestic waterfalls, and swim among marine wildlife at Kauai’s best snorkeling area. Some tours venture to hidden beaches and explore ancient fishing villages. Couple yours with a whale-watching adventure. 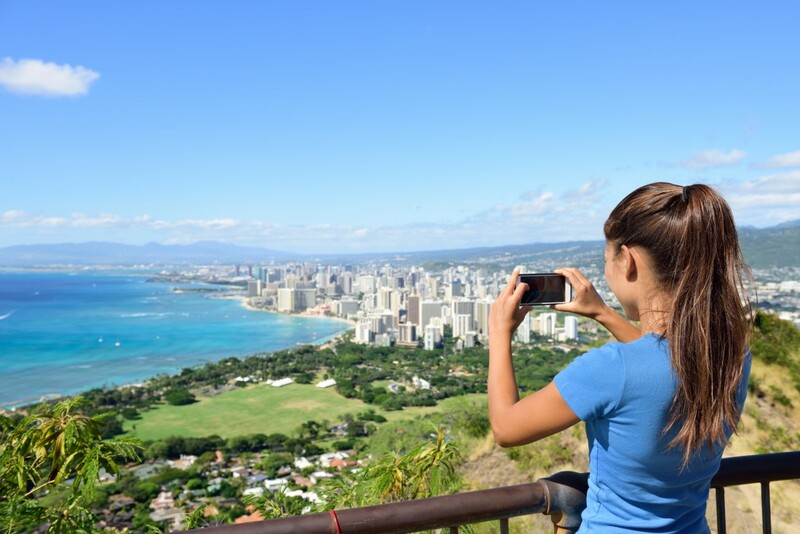 Oahu’s iconic Diamond Head is one of the islands’ greatest treasures. Along with serving as a majestic backdrop for Waikiki Beach, this extinct volcanic crater is famous for its gentle hiking trail and incredible coastal views. Rise and shine to see this national monument before the daily crowds with a private morning hike and tour to its peak. It will surely wake up your appetite. After you’ve soaked in the incredible sights, make your way back down the trail for breakfast at a local eatery. 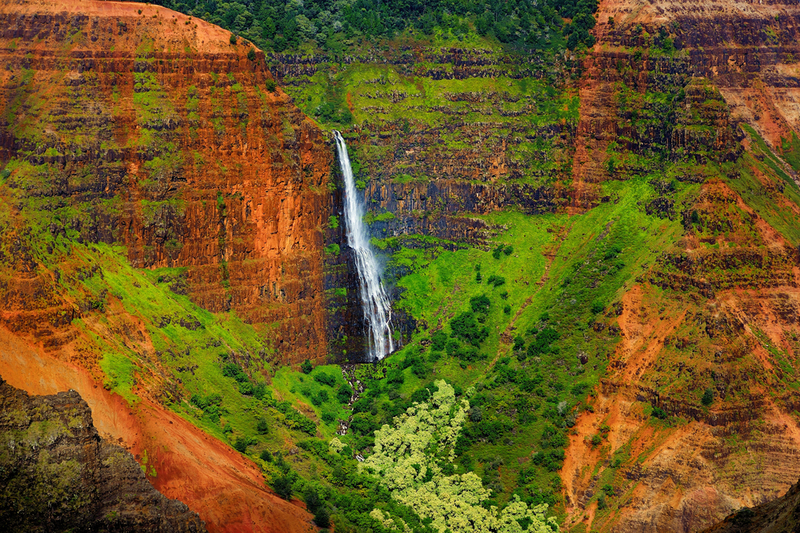 Formed from erosion of the Wailua River and the collapse of a volcano, Waimea Canyon is known as the “Grand Canyon of the Pacific” and on the west side of Kauai, stretches more than 14 miles and 3,600 deep with its dramatic gorges and cliffs. The red rock among the lush, green valley offers an amazing spectacle of natural beauty. Experience it up close on a Wailua River cruise with stops at the famous Fern Grotto with a rainforest walk and Hanapepe Lookout with a great view of the canyon. From the latter, you can see where sections of the movie Jurassic Park were filmed. Start planning your journey to Hawaii now with these ten must-see sights and tastes. Contact your local travel agent today!